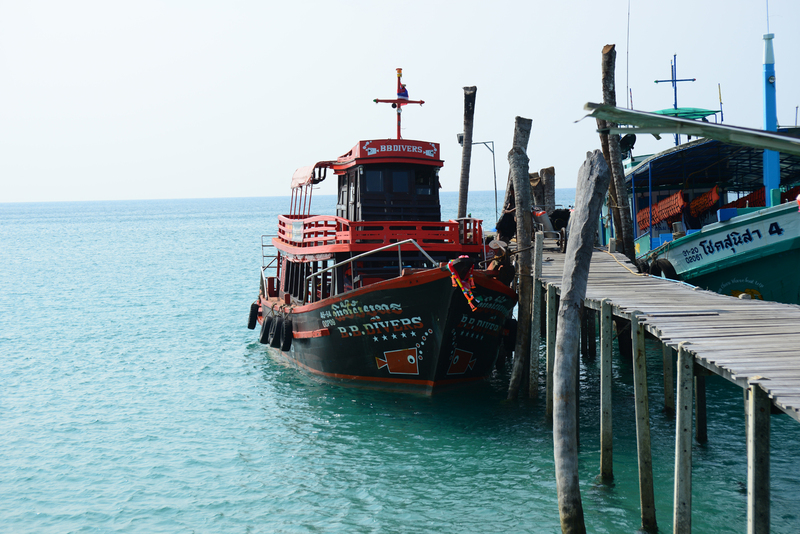 Most of the boats are originally Thai fishing boats which were comfortably adapted for diving. There is plenty of place to relax for the non divers or to have a nice chat or siesta on the way back from a day out. 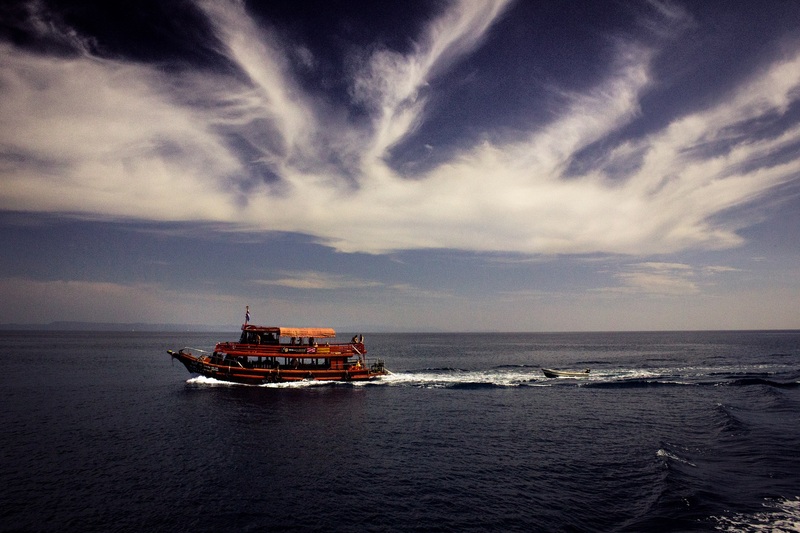 We take a dingy with us to the dive sites for safety. 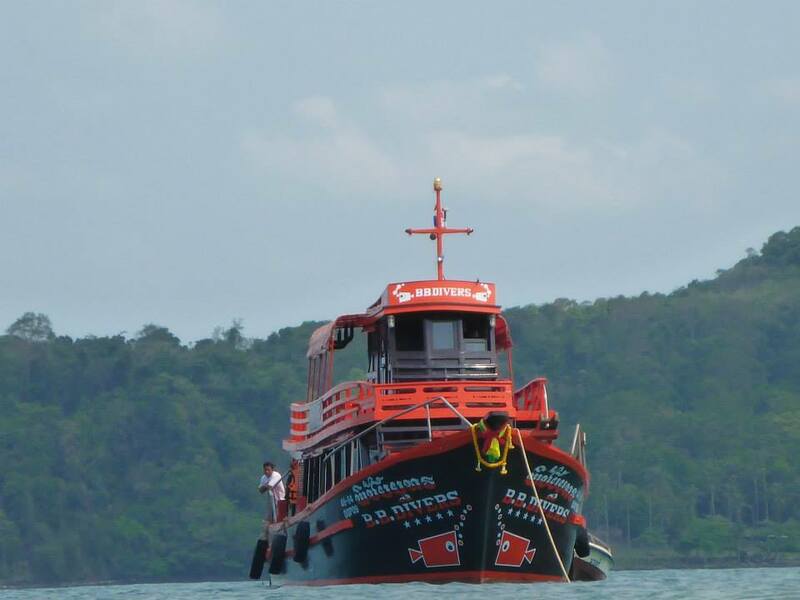 The big boat ''sky saend'' which is used in Koh Mak has a capacity for max. 30 persons and carries 50 tanks. 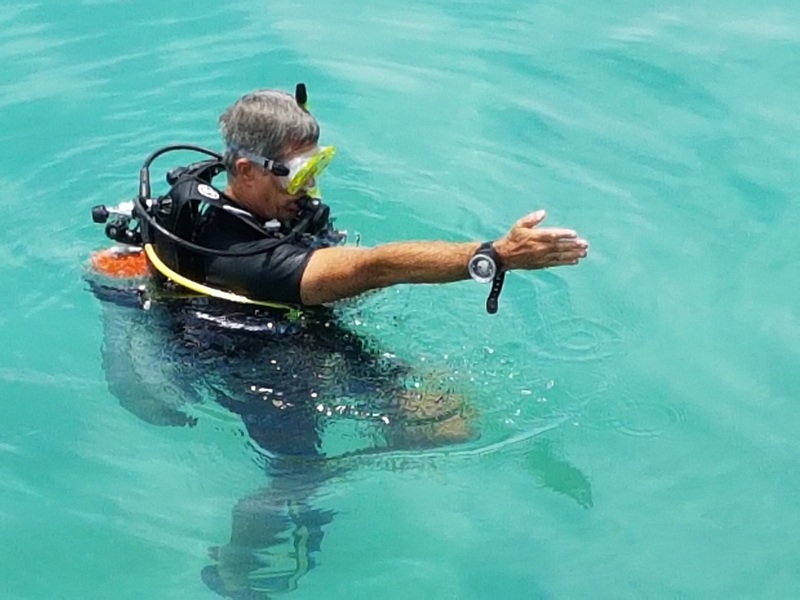 making the setup for dive equipment very comfortable and easy. 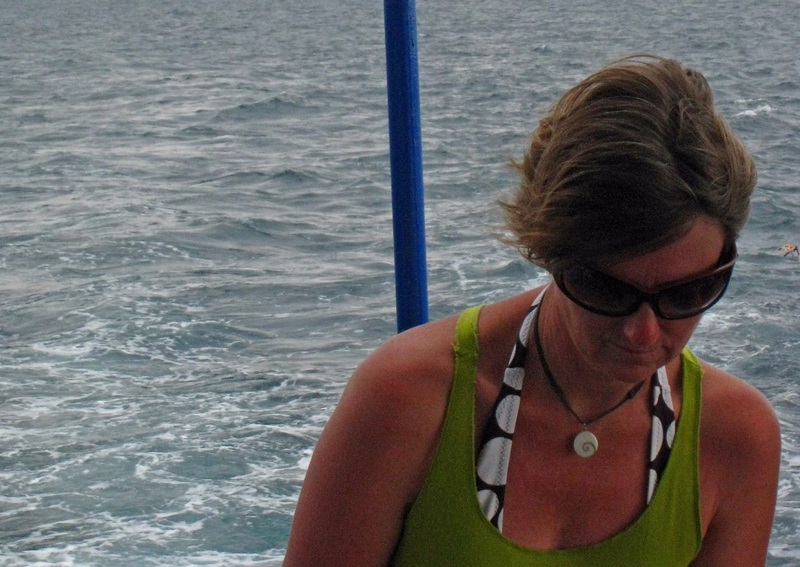 The topdeck is set up with matrasses to relax on the way to the dive sites. 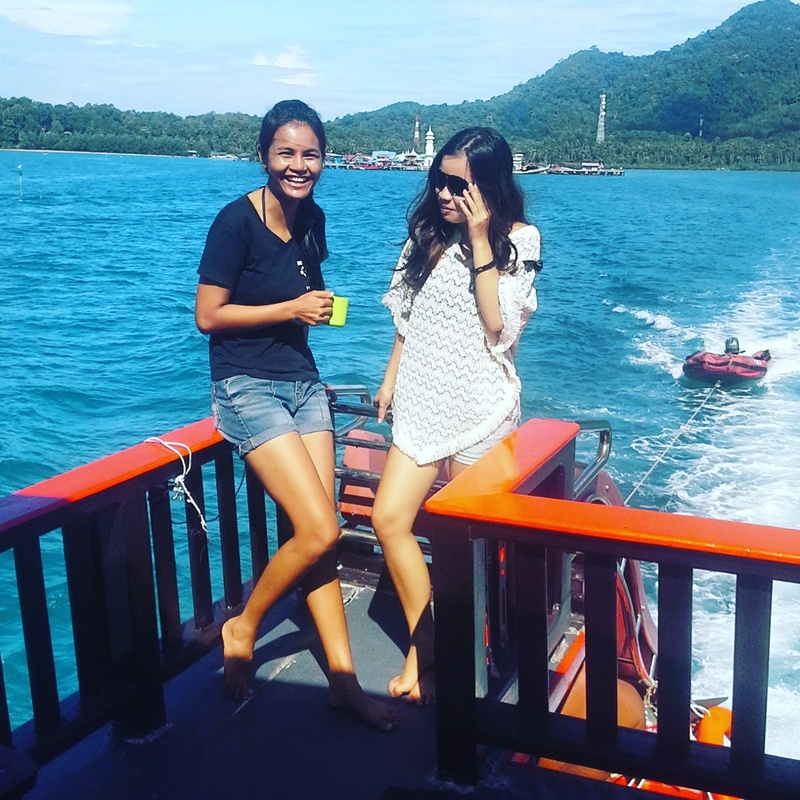 We go out for 2 trips with lunch on the boat... and we come back around 2 pm. 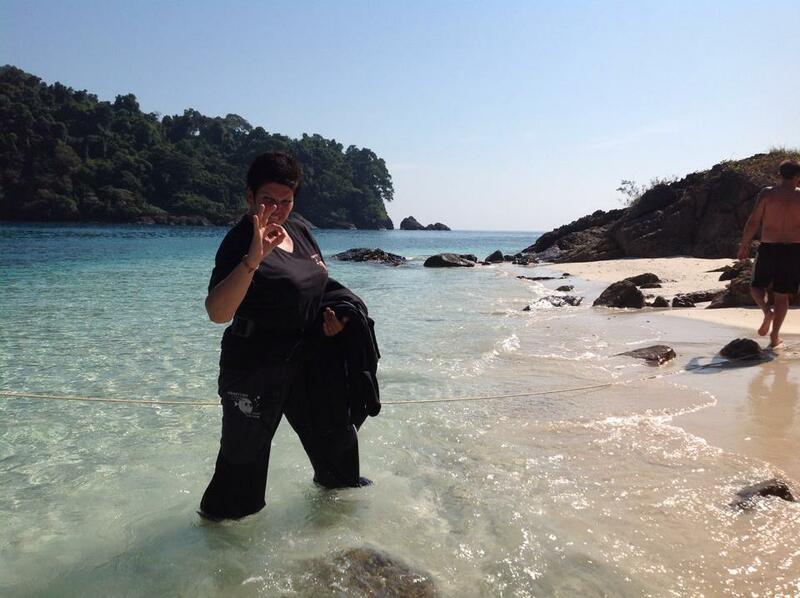 Koh Chang has the "big boat" Blue Lagoon, licensed for 50 people and it can hold 100 tanks. 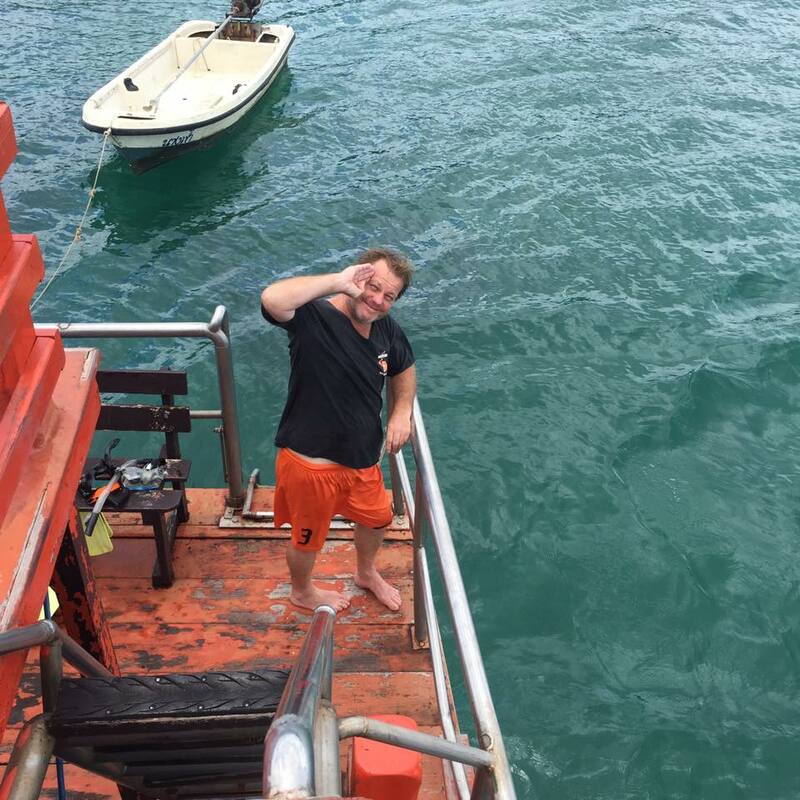 It has 2 decks, we keep the dive equipment on the lower deck and have plenty of space on the topdeck to relax in the sun or find shade under the roof. 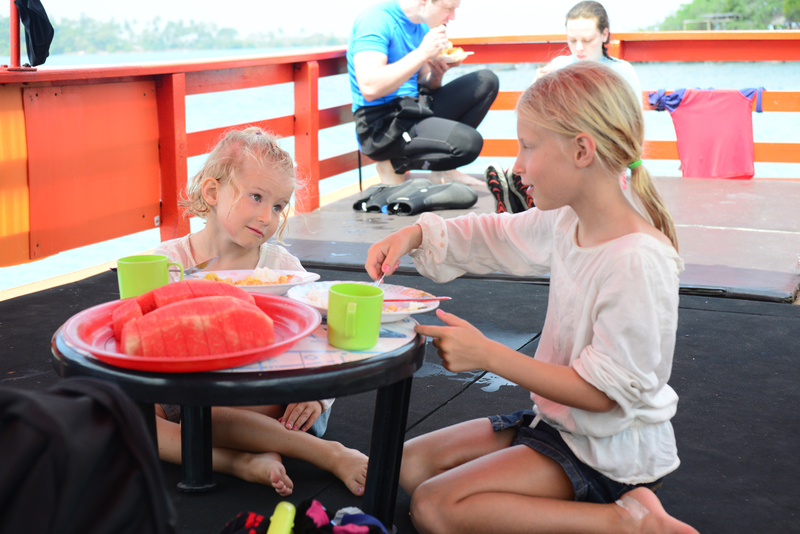 The boat has a slide on it which is very popular in the lunch break, not only with the kids! 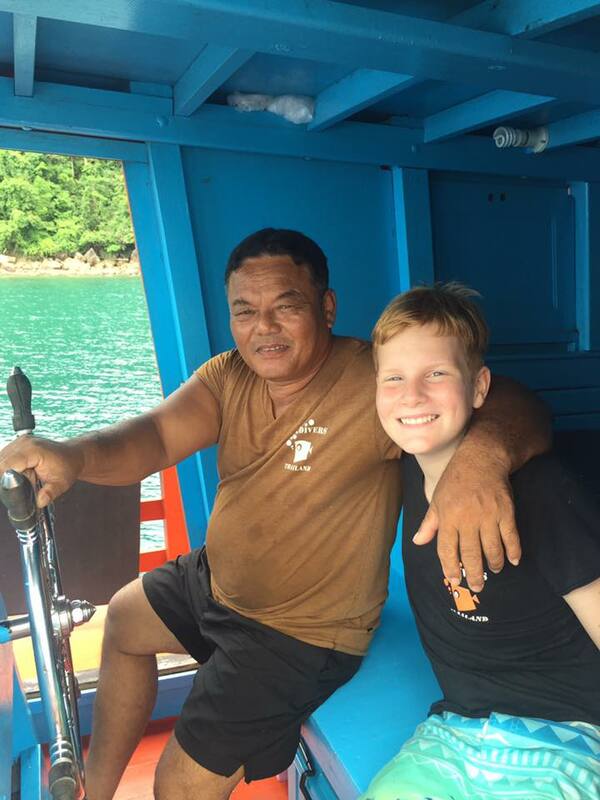 The smaller boat, "BB4" has a license for max. 40 people and carries 80 tanks, making the setup for dive equipment very comfortable and easy. The topdeck is set up with matrasses and a roof to protect you from the sun so you can relax on the way to the dive sites. 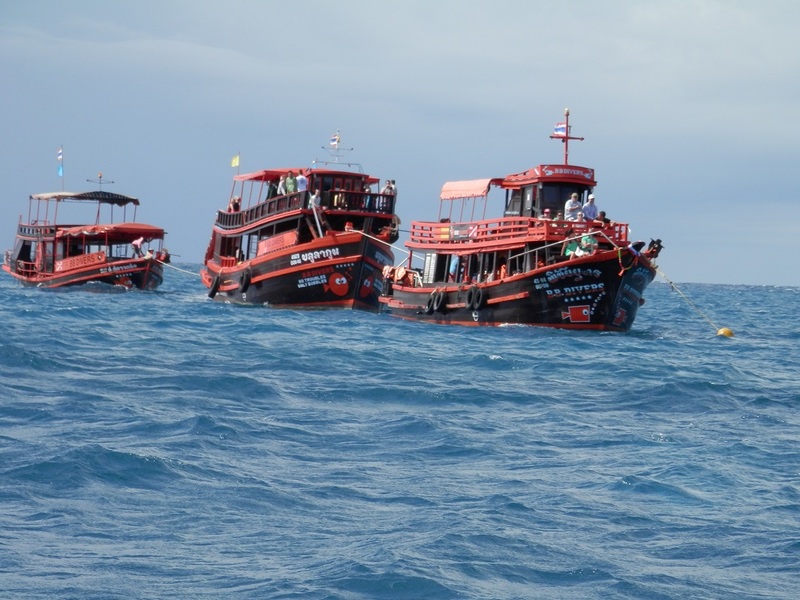 We also offer trips with our speedboat, morning and afternoon trips for diving, snorkling and freediving.